After a hearty breakfast in The Bell Hotel we were ready to spend the day viewing more of the city’s cultural attractions. We’d planned our first stop at the Plantation Garden but on the way discovered a hidden gem. 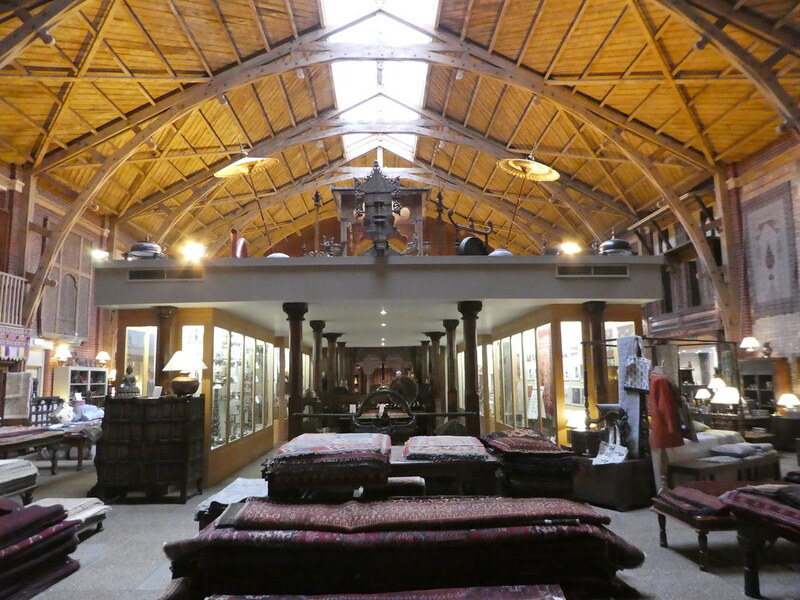 Tucked away on Bethel Street is the South Asia Decorative Arts & Crafts Collection museum and shop housed in a restored Victorian skating rink. The internal architecture is exquisite and it was lovely to see that the building was still in use. In addition to being a skating rink, the building has also been a theatre and home to the first citadel of the Salvation Army in Norwich. Continuing on our way, we soon arrived at the Plantation Garden which adjoins the catholic cathedral. Admission to the garden is £2 with an honesty box available for when the kiosk is closed. 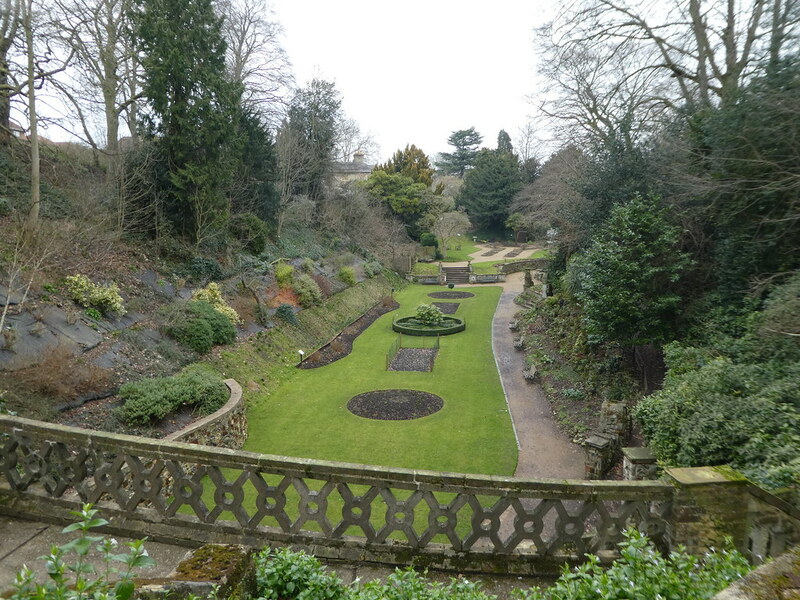 This heritage garden was created in a medieval chalk quarry between 1859 and 1895. The gardens comprise almost three acres and feature a gothic fountain, Italianate terrace and woodland walkways. Even though our visit was in late February, there was still plenty to see and we enjoyed our morning stroll. Just around the corner from the Plantation Garden stands the imposing St. John the Baptist Catholic Cathedral which is a fine example of the great Victorian Gothic Revival. Constructed in this style, it appears older than it actually is, as it was only completed in 1910. Originally built as a parish church, it is believed to have been the largest in England. In 1976, it became the cathedral of the new diocese of East Anglia. We entered the cathedral through the Narthex which was completed in 2010 and comprises a visitor centre and cafe. The display boards were informative and after gaining some background information we started a self guided tour of the cathedral. Some internal refurbishments were taking place but we were still able to admire the fine stonework, roof bosses and beautiful stained glass windows. We’d pre-arranged a tour of the tower and our guide led us up the spiral staircase consisting of 280 steps to the top of the cathedral tower. 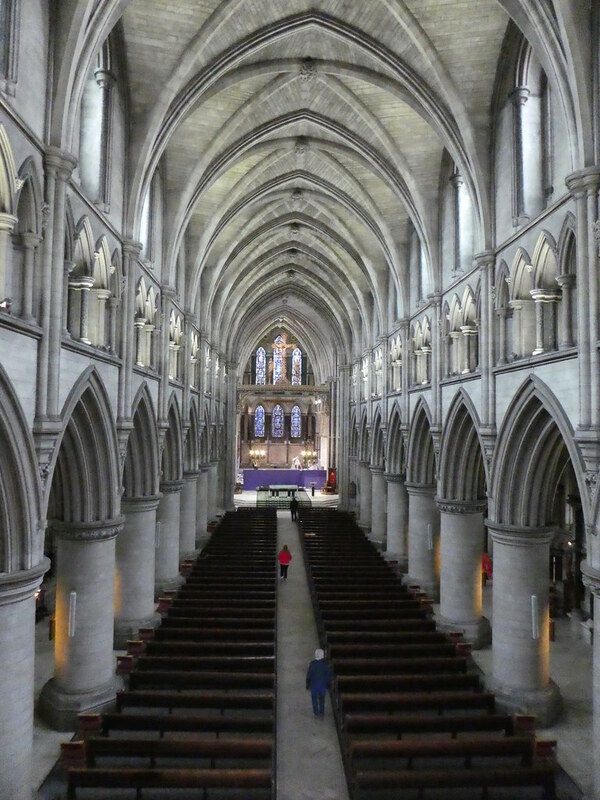 On the way up, we paused for breath on the crossing balcony from where we had stunning views of the transept and nave from a great height. Opening the small, old oak door out onto the roof we were rewarded with magnificent views of the historic city. It was overcast and bitterly cold but we were still able to make out the castle, city hall and other Norwich landmarks pointed out by our helpful guide. If visiting Norwich, I would recommend taking this tour, more details of which can be found here. 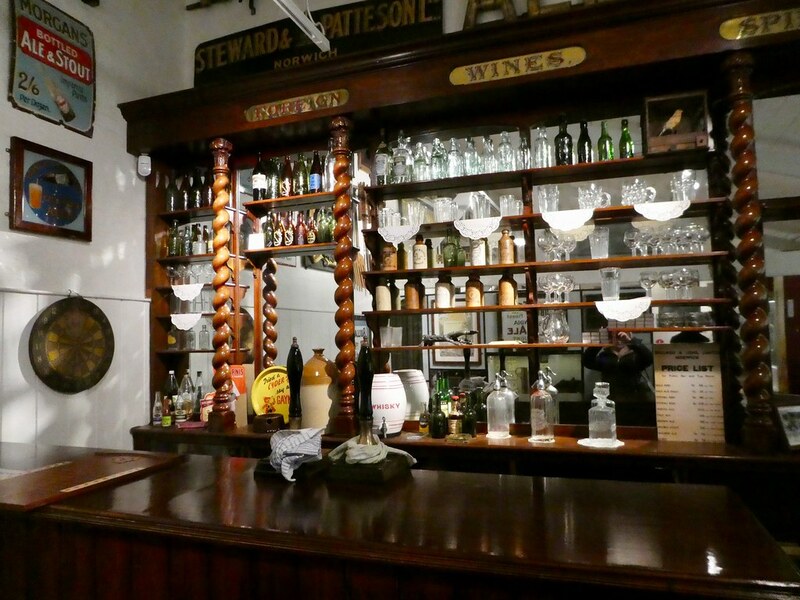 After so much exercise, we were ready for a short rest and a coffee, then feeling revitalised we headed over to Bridewell Alley to visit the Museum of Norwich at the Bridewell. From the exterior the museum appears to be quite small but stepping inside it’s deceptively spacious. 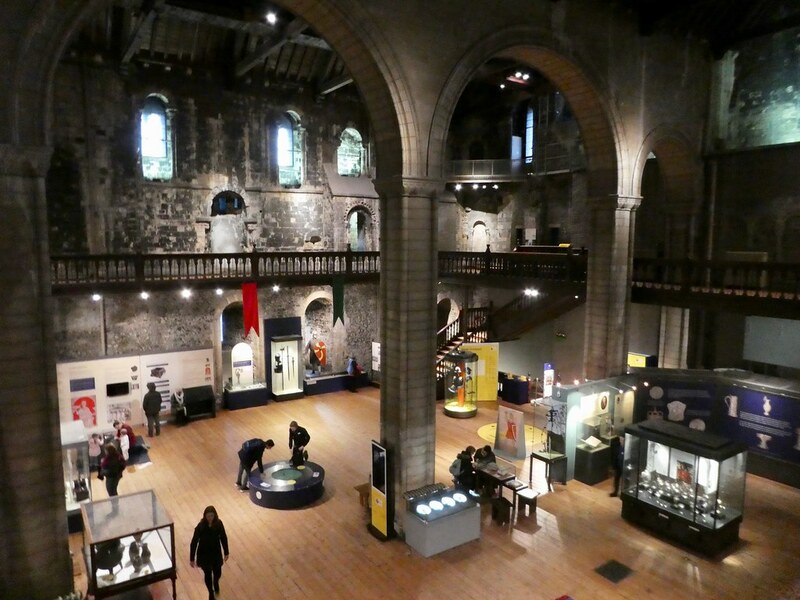 This museum focuses on the lives of the residents of Norwich from medieval times to the present day. The galleries tell the story of how Norwich became a thriving merchant’s city, gaining its wealth producing textiles, chocolates, shoes and mustard. We discovered how the industrious citizens worked and spent their free time, viewed a recreated 1920’s chemist’s shop and also a 200 year old jacquard loom. 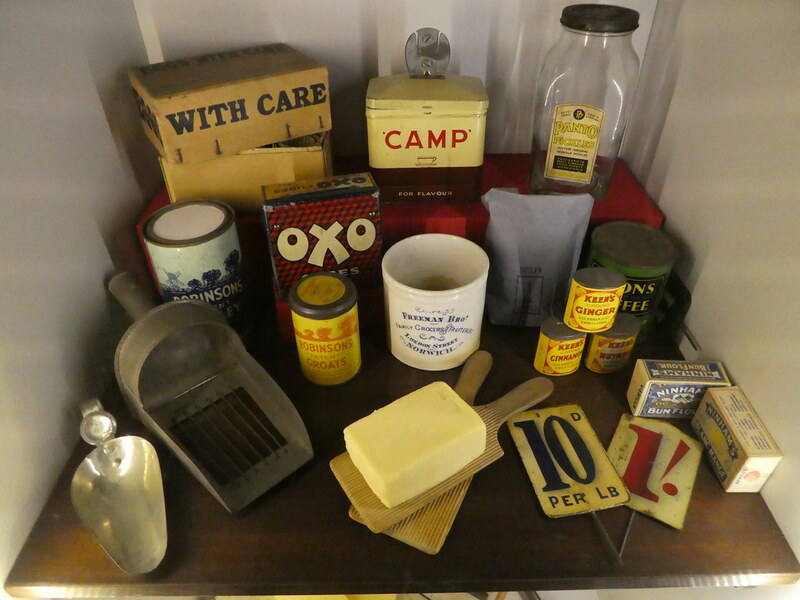 In the glass showcases we found lots of old packaging from well known local companies such as Colman’s mustard and Van-Dal shoes. Sadly, Colman’s which was established in Norwich back in 1858 and now owned by Unilever, will close its Norwich factory in 2019 with production moving to Burton-on-Trent and Germany. 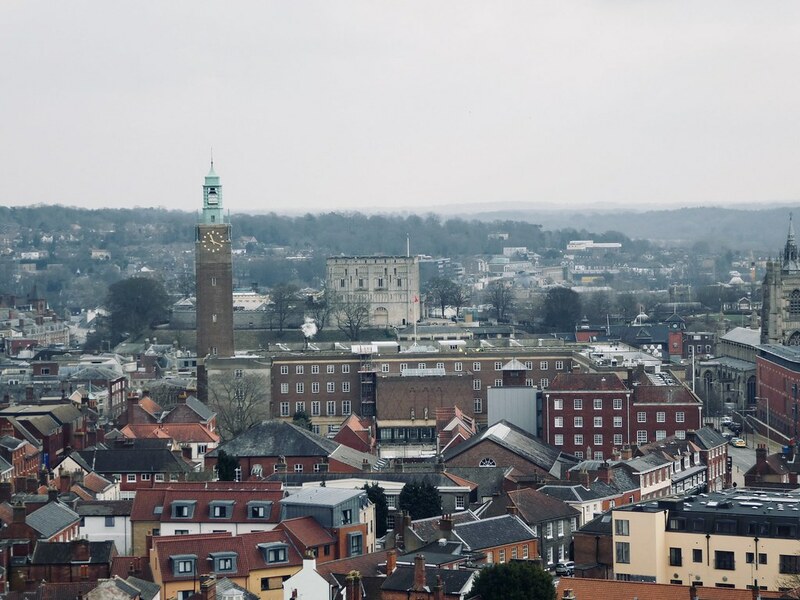 To retain the city’s association with the Colman’s brand, packing of mustard powder and the milling of the mustard seed will remain in the Norwich area. Leaving the museum we walked across the city to Surrey House, one of the most elegant and opulent Edwardian office buildings in England. 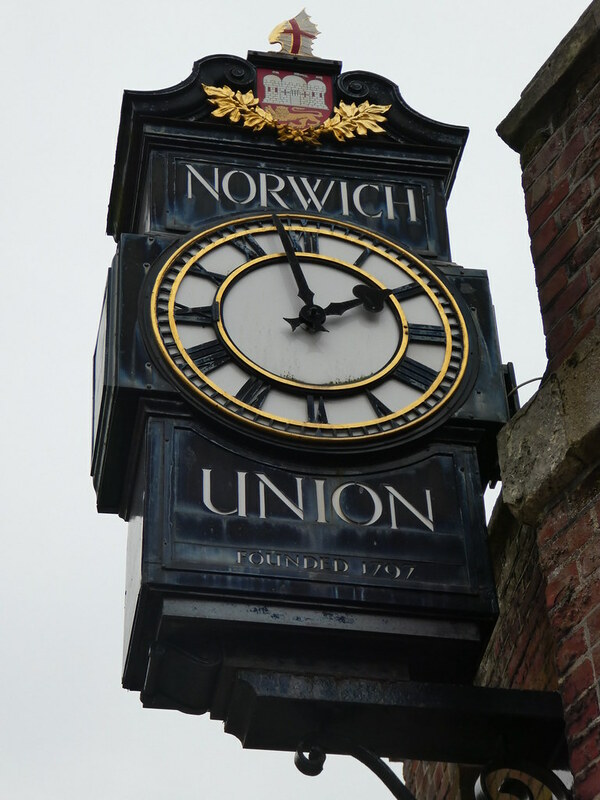 The building was constructed between 1900-1912 as the new headquarters for the Norwich Union Insurance Company who are now known as Aviva. 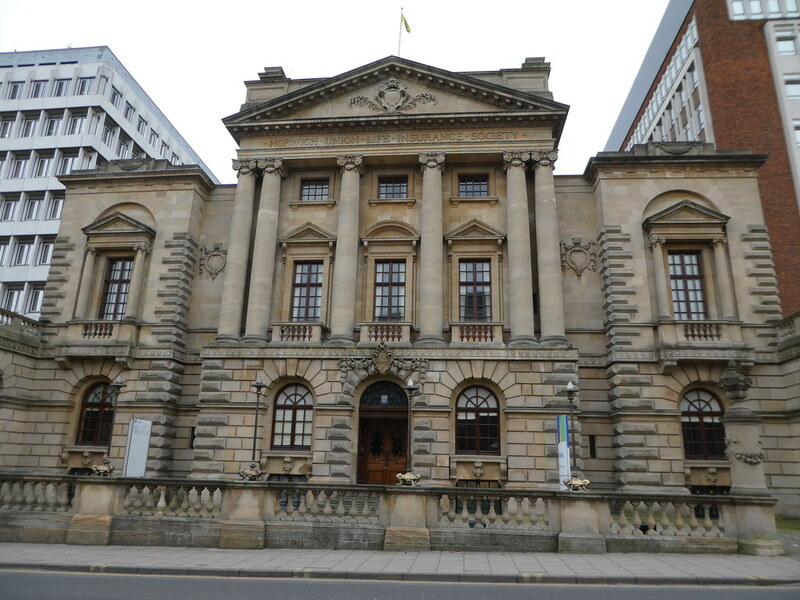 Surrey House is still in use as an office building for Aviva but visitors are welcome to look around its Marble Hall during office hours. Guided tours of the building can be booked in advance which we had arranged. 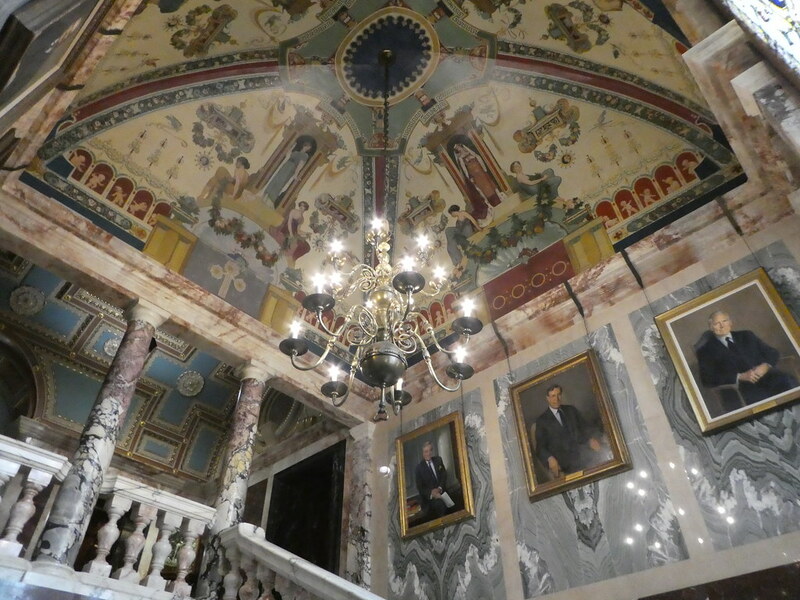 Our knowledgeable and enthusiastic guide showed us around the building with its Marble Hall. This splendid yet functional office space was designed to incorporate Greek influences with the themes of insurance, protection and well-being. The effect of this was to re-assure policy holders of the company’s strength and prosperity. No expense was spared in using the finest marble and wood to furnish the building. The Marble Hall is adorned with 15 types of Italian marble, originally destined for Westminster Cathedral. The spectacular glass domed ceiling contains an innovative Edwardian air-conditioning system whilst the marble columns are reputedly the finest of their kind in the world. 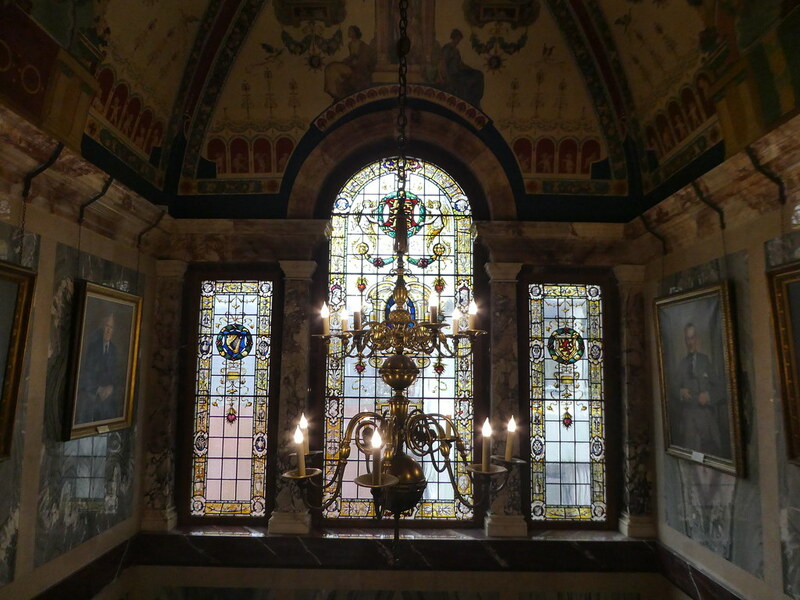 Walking up the steps of the grand marble staircase, we admired the beautiful stained glass window and the elegant chiming skeleton clock which was made for the Great Exhibition of 1851 and is thought to be valued at £2 million. Our guide opened the glass case for us and explained that winding the clock once a month was one of his duties. 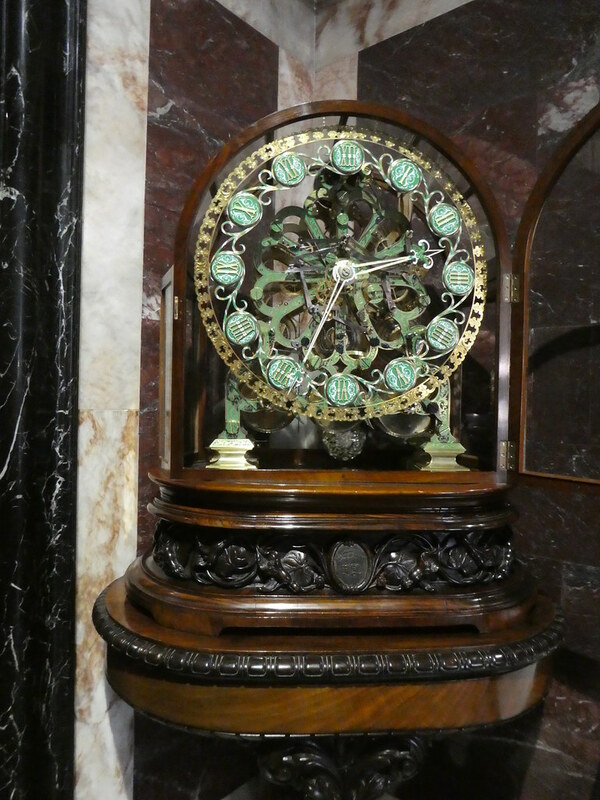 The clock chimes on each quarter and can be set to play twelve different operatic tunes hour by hour. Continuing our tour we were invited to look in the Board Room with its beautiful carved mahogany wall panelling and its ceiling paintings. 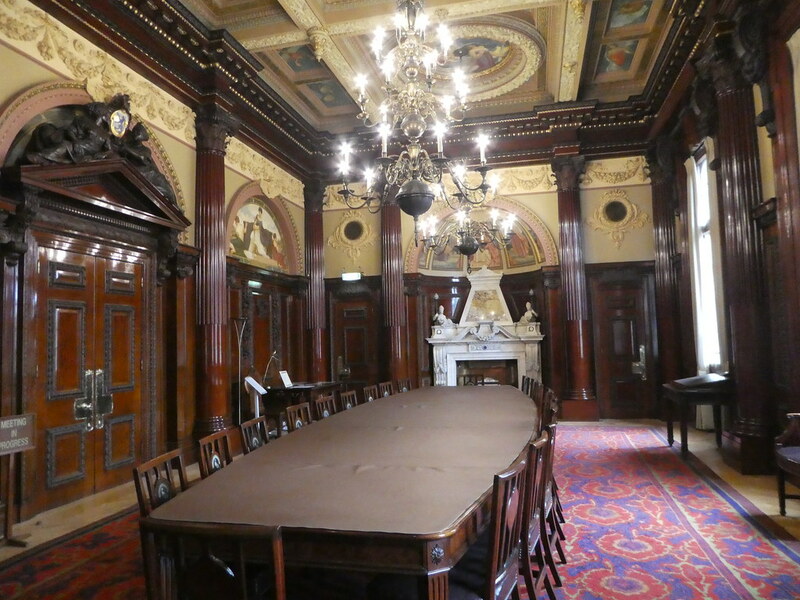 The West Committee Room was also impressive, still containing its original boardroom table. 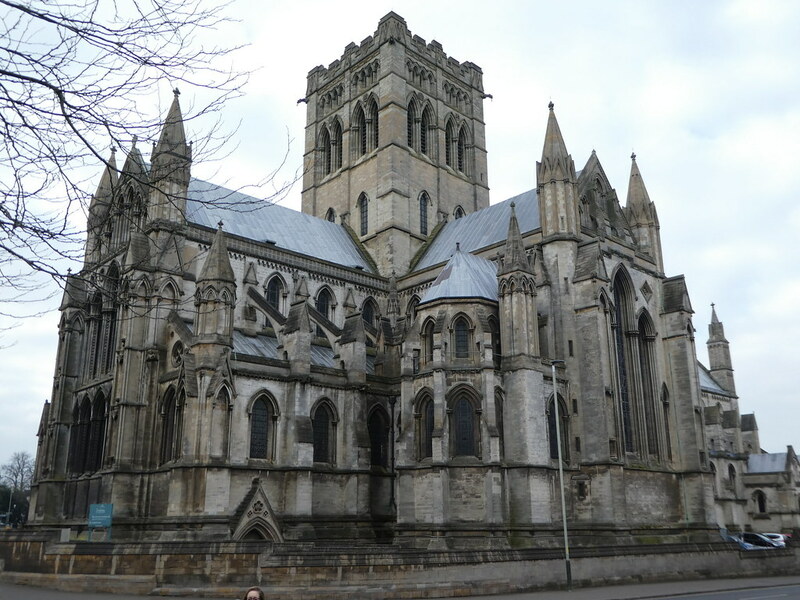 Our tour of this hidden gem lasted one hour and was undoubtedly one of the highlights of our weekend in Norwich so do try to arrange a visit if you are planning on spending some time in the city. 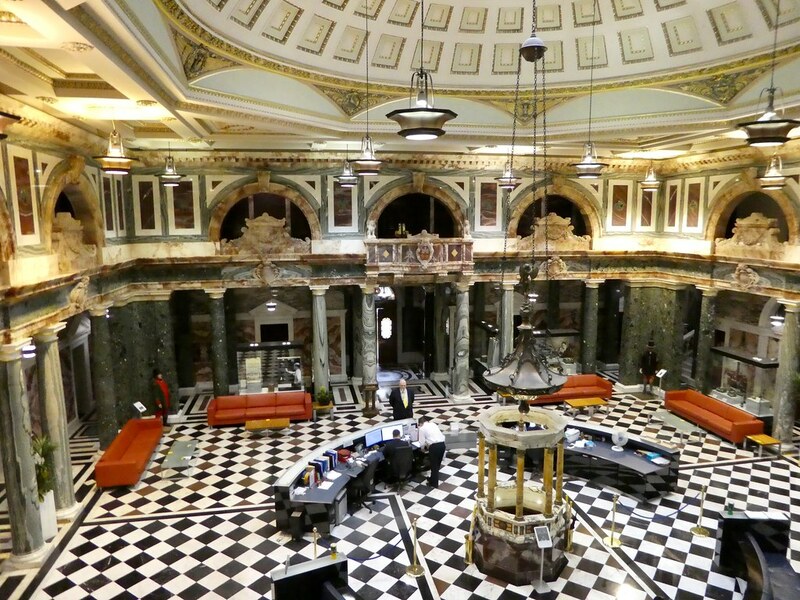 It is very pleasing that Aviva offer these free tours, showcasing the company’s heritage. 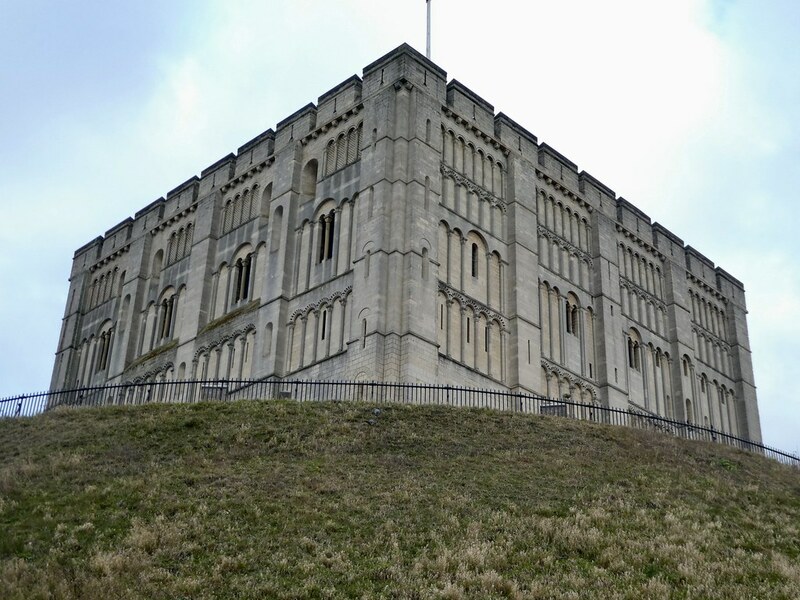 We still had one more cultural highlight to fit in, so we made our way over to Castle Meadow to visit Norwich Castle. The castle was built 900 years ago by the Normans as a Royal Palace with lavishly decorated interiors. By the 14th century it had been transformed into the county gaol but after the prison’s relocation in the late 19th century the castle fell into disrepair. It was eventually converted into a museum as we see it today. We started our self-guided tour in the Norman Keep learning about medieval Norwich life in the castle. There are further galleries on natural history, fine art, archaeology, costumes and textiles. A temporary exhibition running until June 2018 entitled ‘The Square Box on the Hill’ was very interesting displaying photographs, maps and memorabilia about the history of the castle and designs for its future. Leaving the castle, a busy day of sightseeing had left us feeling hungry so we headed over to the Grosvenor Fish Bar on Lower Goat Lane. This fish and chip shop had come to our attention as it had been featured on BBC’s The One Show. It’s a Norwich institution, having served fish and chips in the city for 90 years so we thought we’d book a table and sample it too. As well as the usual fish and chip fare the menu includes sea bass, tuna, squid, mackerel and rock salmon. Seating for 70 people is downstairs in the cosy bunker, with room for 20 more in its new ground floor annex. It’s not essential to reserve a table, but as we didn’t want to miss out on sampling their menu, we chose to book in advance. We were shown to our table by a friendly waiter and as we were ravenous, ordered large portions of haddock, chips and mushy peas. When the food arrived, I could hardly believe the size of the fish which was cooked to perfection. Home made sauces are available and I loved dipping my chips into the delicious garlic mayo. 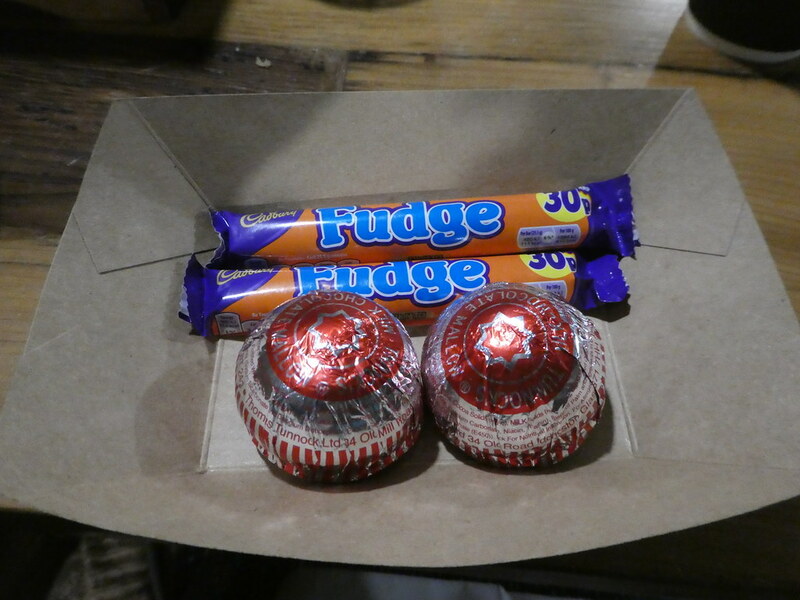 If fish and chips wasn’t enough, we ended our meal with cups of tea and trays of chocolate making this the perfect end to a fun filled day. Walking back to our hotel, we were both in agreement that no future visit to Norwich would be complete without supper at the Grosvenor! We loved our weekend in Norwich and hope to return again soon. Thanks Jason. I can definitely recommend eating fish and chips at the Grosvenor but go with a big appetite as portions are huge! Thank you Lakshmi for your lovely comments, it’s so nice to hear from you. OOOOeee, I love Norwich. I used to work as a tour guide in East Anglia and Norwich was one of my favourite places 🙂 Enjoy! Thanks Irene for your comments. I loved Norwich and hope it won’t be too long until I can return. Hi Little Miss Traveller, Great Pics, It was like a Virtual Tour !!! Excellent .. Keep Posting !!! 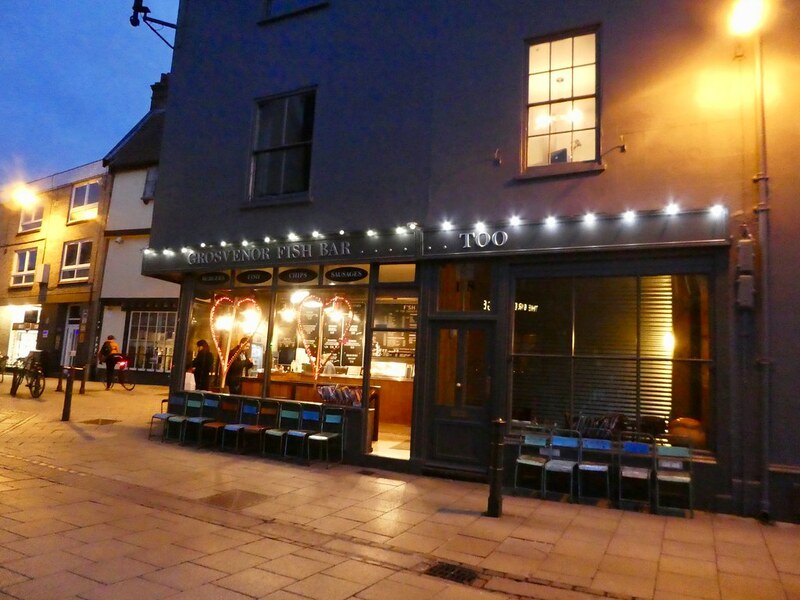 Thank you for your inspiring thoughts, so pleased to read you enjoyed this post on Norwich. It’s good to read that you also enjoyed visiting Norwich Bruce, it’s a very interesting city. What a lovely day you had, Marion! Wonderful architecture, and so varied 🙂 🙂 I enjoyed my tour with you. Thanks Jo, we had such a lovely day and being able to take a tour of the former Norwich Union HQ made it extra special. You always find the coolest places! 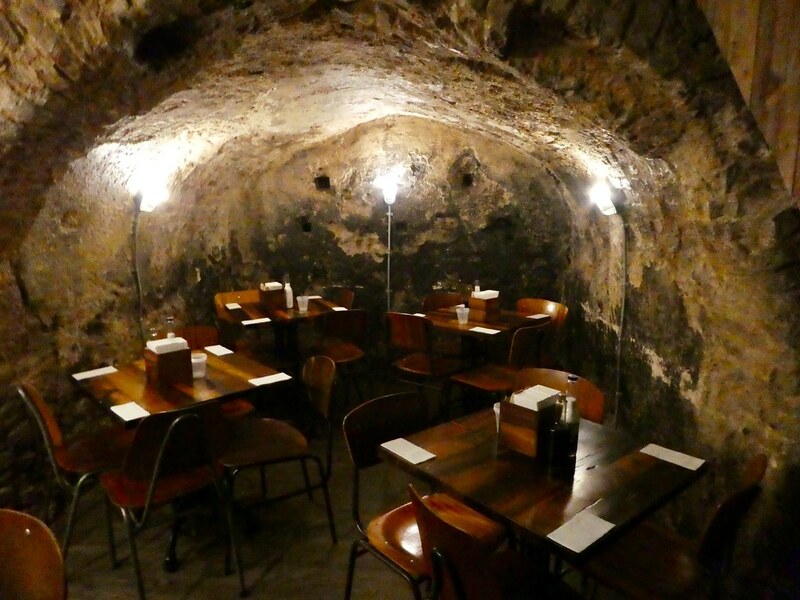 That underground restaurant looks so neat! Thanks Dani, it was very cosy eating down in the bunker / cellar area and the fish and chips were divine! So beautiful. Thank you for letting me sight see through this post. 💕. I look forward to reading more of your posts. Thank you Keri, it’s so nice to read you are enjoying reading my Norwich posts. It’s a very cosy and friendly place and the fish and chips were delicious! Thank you Piia, I hope you get a chance to visit Norwich on one of your visits to the U.K. as it’s quite easily accessible from London. When I discovered it was possible to take a tour of Surrey House, I was excited to set it up. Thank you for your kind words. 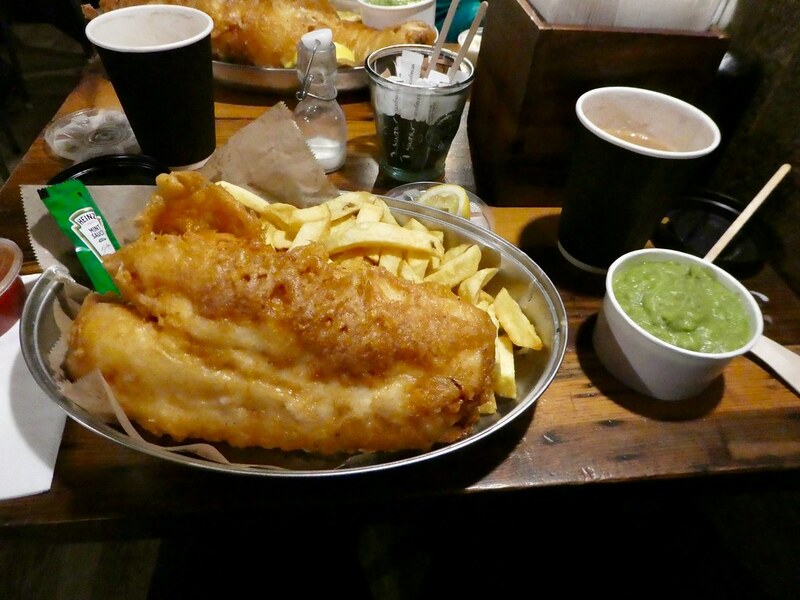 Norwich is a fascinating city to visit and those fish and chips were absolutely delicious! Loved the tour and did a close inspection of the fish and chips. lol. Those alley ways are quaint now, but back in the middle ages they would have been strewn with garbage as people just dumped in the street indiscriminately. It looked clean and nice in the picture. The narrow lanes of Norwich are very clean these days and the city’s architecture is a delight. As for those fish and chips, my mouth is watering at the thought of them Ian! I love my city! If you’re back there or have more time go to cafe 33. Delicious! And walk to Mousehold heath by the prison and see the view back over the city! Thank you for your inspiring deals of more things to do in Norwich. I’m certain we will return before long as I love the city too! You learn something new every day – I’ve never come across the South Asia Decorative Arts & Crafts Collection before and I had no idea that the Aviva building offered guided tours. Think I need to get out and explore my city more! Thank you for your comments. Sometimes we don’t notice things quite the same when they are on our doorstep Leanne. Do try and make time to visit Aviva as I’m sure you will enjoy a look round. 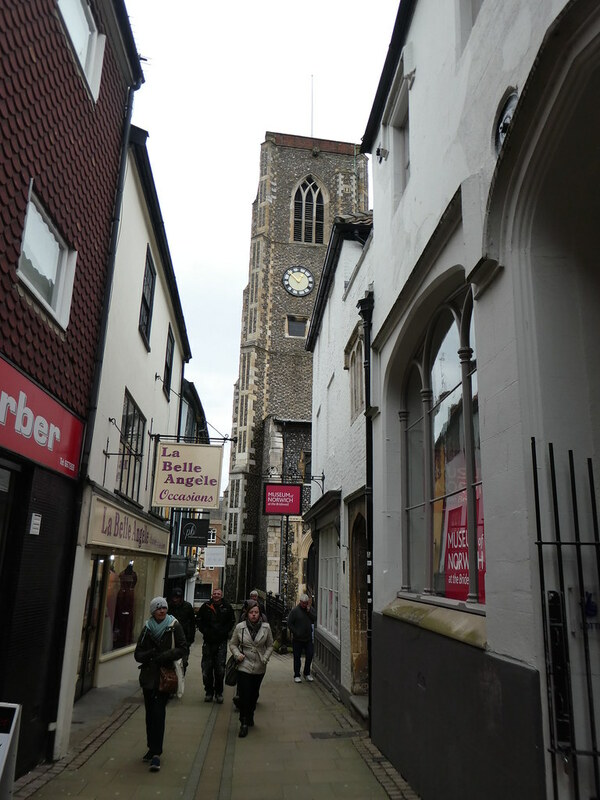 Enjoyed sightseeing Norwich with you…even if it was via your blog. Have a visited Cardiff? Lots to see there including a castle. Helena, thank you for your much appreciated thoughts on my Norwich posts. I haven’t yet visited Cardiff but would very much like to spend a weekend there sometime too. Thank you! Norwich is beautiful and I hope you get an opportunity to visit some time. Thank You giving a window to Your world thru Your beautiful photos. 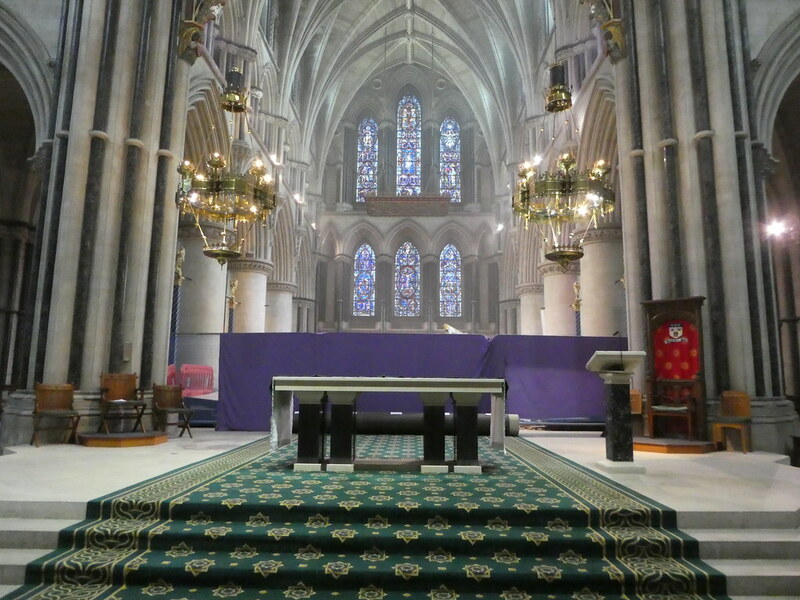 Among them, there were many, which I love, but The Cathedral photos impressed me very much. Thank you Matti, Norwich is a lovely city and both its cathedrals are stunning. Thank you, I hope you get an opportunity to visit someday. It’s my pleasure Helen. Do try and visit Surrey House as it’s so interesting and a beautiful place. Hi Miss Traveller, What a great tour! We only visited Norwich briefly a long time ago and didn’t see the delights you’ve visited, We now live in Spain, but the next time we visit the UK, we’ll certainly call there again. Excellent photos too! Many thanks,. Thank you Joy for your kind words. We had a lovely weekend in Norwich and it’s good to read that you are thinking of returning on your next visit to the U.K.
Norwich is indeed beautiful. I hope you manage to visit one day!